We Asked: How Is The Homeownership Crisis Affecting You? More than 450 people responded to our callout on social media that asked our NPR audience what they've experienced while trying to buy a home in today's market. Here's what they told us. A lack of homes and rising prices are shutting out people who want to buy. We Asked: How Is The Homeownership Crisis Affecting You? 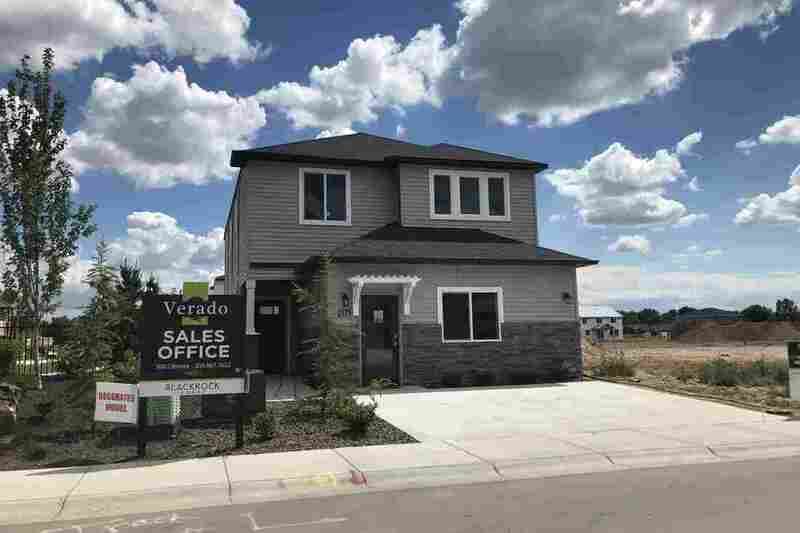 New homes are being built in the suburbs outside Boise, Idaho. The demand for new homes in Boise is nearly 10 times the number that are actually being built. People from nearly every state in the country responded to a request from NPR on social media to tell us about their experience trying to buy a home. From urban metro areas to distant suburbs, there were common themes of rising home prices coupled with limited options. We make pretty good household income but still can't seem to afford anything that doesn't required a complete gut renovation. In a series of stories NPR has reported on a variety of factors that are contributing to this new housing crisis: a construction labor shortage, rising costs of building materials, a shortage of undeveloped land, and an increasing amount of regulation that limits housing development. Among the many responses we received to our questions, the vast majority reported being unable to find a home that was affordable. Some had been searching for the right home for years. Others had given up the search, or moved to a new state to find the exact same housing market they'd tried to escape from. While a six-figure household income might appear to make homeownership a guarantee, the rising cost of homes kept many in that income bracket shut out of the market. That's not so surprising when you consider that the median price for a new home in the U.S. is above $300,000. Yes, it's unreal what houses are going for in my town that are in need of total renovations, or major repairs. With a lack of new, affordable homes, respondents said they looked for lower-priced, older homes. But those homes often need renovations or upgrades that add to the total cost of the home. It was common to hear that homes without updates for decades were selling for the same prices as homes that had already been renovated. Many people could not justify paying the high prices asked for outdated homes. Many respondents from all over the country described bidding wars against other prospective buyers. This led to homes selling above asking price, oftentimes to buyers who had the cash to buy the homes in full. Of the two times we've put in an offer in the past year, we've been left behind by bidding wars several thousands of dollars over asking prices, oftentimes cash offers. Respondents who had to finance their new home simply couldn't compete with cash buyers. Many described having homes literally bought out from under them as they toured homes with Realtors. The suburb, long the place where more affordable homes could be found, is making way for housing that is even more remote. But buyers had to decide whether housing affordability was worth spending hours a day driving to and from their jobs. I already live in the suburbs and to be able to afford a house in my price range would mean moving at least 1-2 hours away from my job. For those who did end up buying a home, there was a universal sense of luck and relief. Unless prices begin to drop, from increased housing supply or some other cause, many respondents were unsure how they would be able to get into homeownership.